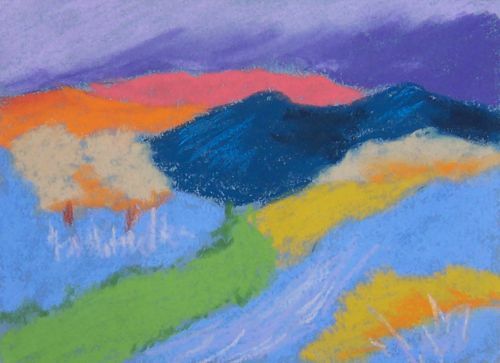 This entry was posted on Thursday, May 17th, 2012 at 12:43 pm	and is filed under 100 Pastel Challenge, Color, Landscape, Paintings, Pastels. You can follow any responses to this entry through the RSS 2.0 feed. You can leave a response, or trackback from your own site. Look at you! Moving right along. Every one of these must turn out to be a surprise!